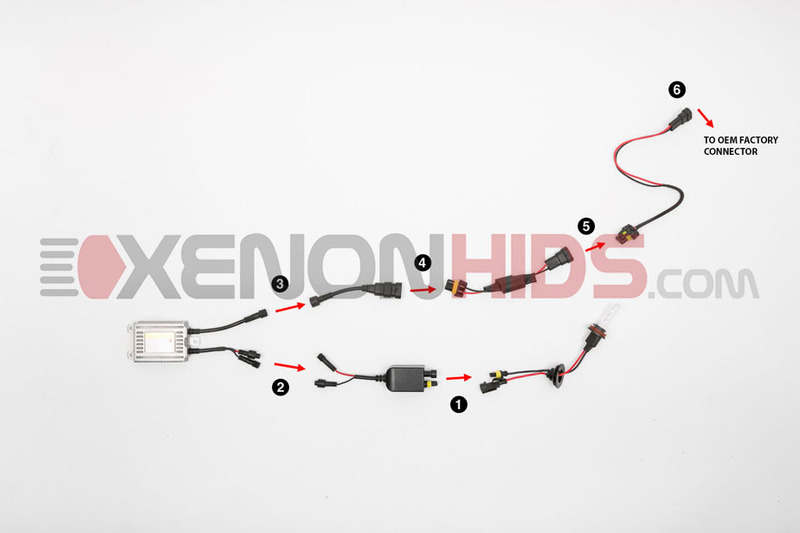 Below are the components included in your Single Beam HID Conversion Kit with Warning Cancellers. 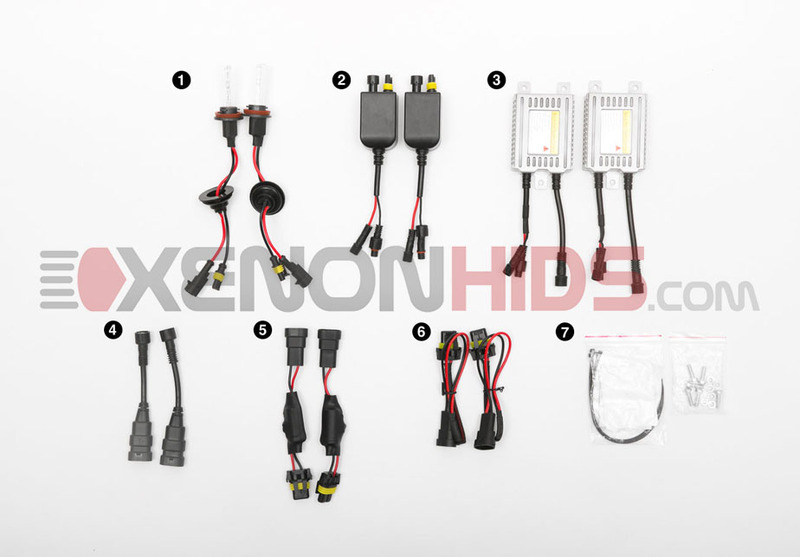 NOTE:This installation guide uses our Galaxy Series 55w Canbus HID kit. Connect the female oval connector from Ballast Adapter to the Warning Canceller. Connect the Warning Canceller to the Factor Harness Adapter.